Infinite Art Tournament: June's Element of the Month: Sodium! The sun, as everyone knows, is a big ball of fusion energy. As with most stars, it is a gravity well in which the universe's most common form of matter, Hydrogen, is put under so much pressure that it converts to Helium, venting a heap of energy as it does so. Thank goodness. This is why Helium is the second most common form of matter. At the end of a big star's life, as I understand it, the Helium fusion process starts to sputter out, the star starts to contract, the pressure rises, temperatures increase, and WHOOSH! the Helium starts to fuse, into Oxygen and Carbon. Oxygen and Carbon are what? The third and fourth most common types of matter, that's what. After Helium fusion runs its course, if the star is big enough -- much bigger than our own lil' guy -- Carbon fusion kicks in, creating Neon, Magnesium, and our Element of the Month, Sodium. By the stark standards of our universe's physical laws, this is indeed a straightforward production process, and that's why Sodium is a relatively common element. It's especially common here on the crust of planet Earth, where it lags behind only Calcium, Iron, Aluminum, and the two major players, Silicon and Oxygen. 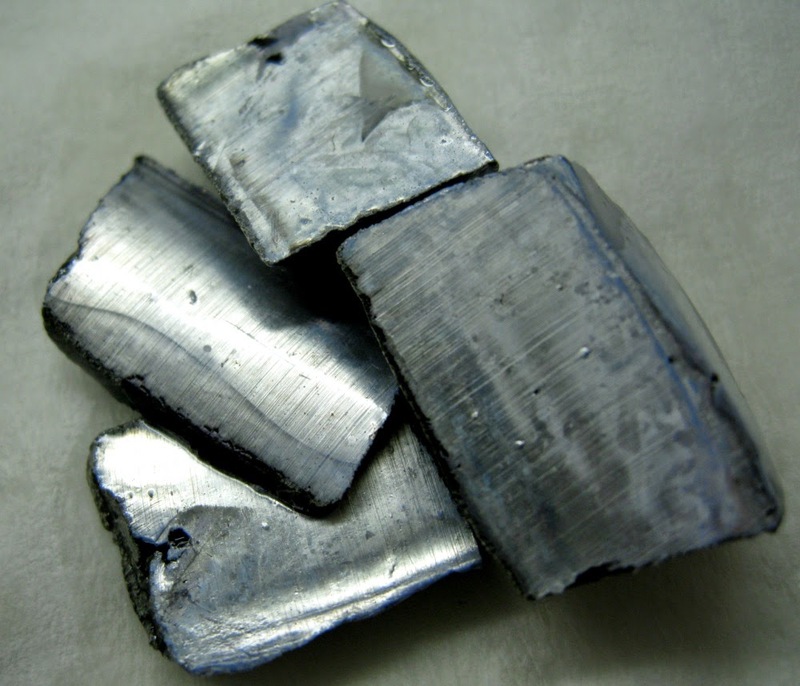 It is promiscuously reactive with air and water and much else, however, and so is never found in its elemental state (a silvery metal, of course) in the natural world. As you surely recall, Sodium loves to pal around with Chlorine, creating a chemical salt that in English we call "salt." This substance makes up 3.5% of the world's oceans by weight, which is really rather staggering if you think about it. 'Tis said that if you took all of the salt out of the oceans and spread it evenly on the continents -- everyone needs a hobby -- it would cover everything to a depth of about 500 feet. This would make you deeply unpopular. You like to think of yourself as a unitary being, and you shouldn't be embarassed about it; we all do. In reality, of course, we are each a surprisingly successful committee of zillions of cells, each of which is to a certain extent an independent entity, doing its own thing. For this to work, however, each and every cell needs to coordinate its activity with its neighbors, and apparently they do this by exchanging electrical signals, and apparently they do THIS by playing Sodium ions off against Potassium ions. That makes Sodium an essential nutrient, and therefore for most of human history salt has been a much sought-after commodity. (I once TAed for a professor who said that when you are depleted of sodium, a salt tablet tastes much like an M&M; however, he was an inveterate fibber and one never knew whether to take his tales of daring-do seriously.) These days, of course, we consume salt in quantities not much short of toxic, and the resulting blood pressure conditions are thought to cause seven or eight million premature deaths every year. As with everything else (see Potassium, paragraph 4), it was Sir Humphrey Davy that first really figured out Sodium. What couldn't that man do!!! 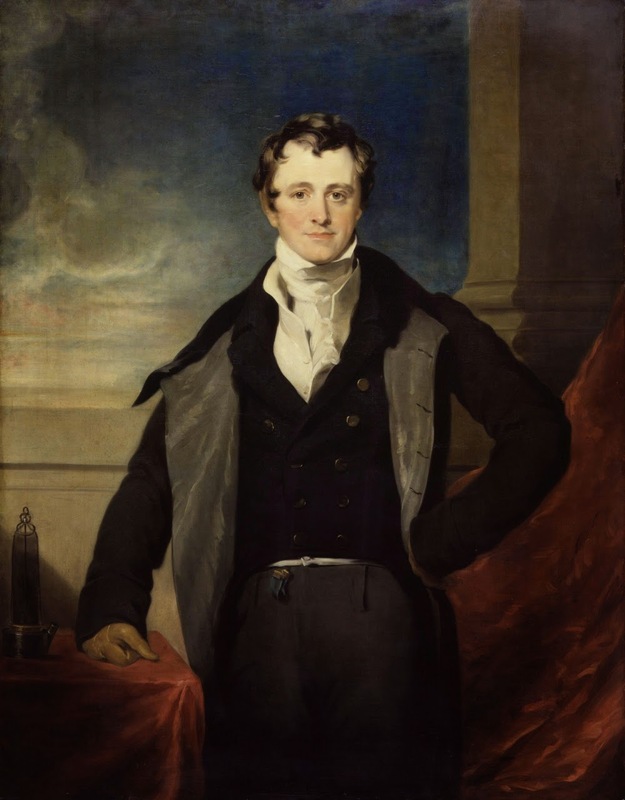 Sir Humphry Davy, portrait by Sir Thomas Lawrence. Expected Tournament Entry: Three weeks from tomorrow. it's easy to forget sodium is a metal.